Before you allow your tenants to have pets, you should have a detailed pet policy in place. This policy should outline the rules for both tenants and their pets. This policy should be an included clause in your lease agreement so that all tenants understand the rules for pets. 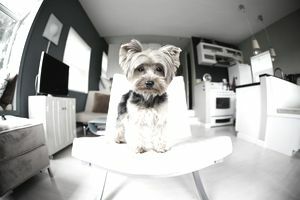 Here are five steps landlords should follow to make their rental pet friendly. Just as selecting a tenant for your property involves asking the right questions, so does selecting the right pet. Before signing any type of lease or pet policy with a prospective tenant, you will want to ask the tenant certain questions. Has the pet ever caused damage to property? Has the pet ever bitten any human or animal? Who will be responsible for caring for the pet? Who will care for the pet when the owner is not home? Does the animal have the proper vaccinations and licenses? See how the animal behaves in general- Is it aggressive or friendly? Is it trained? See how the tenant interacts with their animal.-Is the animal disciplined if it misbehaves? Animals are often bad because they have bad owners. If Fido was never corrected for using the carpet as a toilet, he will not know any better. In most states, you can charge a monthly pet fee or an additional deposit for tenants with pets. Check with your state, because in some states, it is illegal to charge additional fees. You can never charge fees or deposits for service or companion animals. Some owners charge nonrefundable pet fees. In theory, this seems like a good idea, but in practice, not so much. If a tenant has already paid for the so called damage their pet will cause, they may not be as careful about controlling their pet in your property. Instead, consider a refundable pet deposit. Make it a large enough amount, $200 to $300, so the tenant will be concerned with getting their money back. Hopefully, the thought of losing money will be an incentive for the tenant to keep their pet well behaved. The amount of the pet deposit. The fact that it is refundable if the pet has not caused damage or problems in your property. What you consider damage or problems. No-Pets Policy-If you have a no-pets policy, state that pets are not allowed under any circumstances and if a tenant has one, it will be considered a breach of contract. Types of Pets Allowed- You should specify the exact animals you will allow and how many of each. For example, dogs, cats, birds, fish, reptiles, rabbits, hamsters and gerbils are common pets. Number of Pets Allowed- There is no need to put a maximum number on fish allowed. For other pets, you can specify the maximum number/ limit. For example, you may only have 1 dog or cat; or a maximum of 2 hamsters; or no more than 2 birds. Weight of Pet- If you do not want to ban specific dog breeds, you can instead put requirements on height and weight. For example, all dogs must be no more than 30 pounds, or no taller than 15 inches. This will allow you to still exclude most of the dangerous breeds without specifically banning them. Only Animals You Have Specifically Allowed.- Tenants cannot take in animals from friends or family. Make it clear that you have to approve any animal that will live in the apartment. Your pet policy should list the responsibilities the tenant has once the tenant and their animal are living in your rental. All pets will have the required shots, licenses and tags, including name tags. Check with your state to determine the vaccines and licenses required locally. All dogs will be on a leash at all times outside of the apartment. Other animals, such as birds and hamsters, will be appropriately caged. The tenant is responsible for cleaning up any “accidents” their pet has left inside the apartment, inside the building or outdoors. Require or advise (up to you) the tenant to get renters insurance with liability coverage. If any part of the pet agreement is violated, or the pet becomes a nuisance or a hazard to others, property management can require the pet be removed or can terminate tenancy. If only the pet is removed, this will have no effect on the validity of the signed lease agreement, which the tenant will still have to adhere to. State that you have the right to make changes to the pet agreement as long as you give proper notice, at least 30 days. This protects you in case, for example, you decide not to allow dogs in the future. By defining your pet policy in writing from the very beginning, your tenants will understand what is expected of them as pet owners, as well as the consequences if they do not follow the rules. *You should consult legal counsel to determine the appropriate wording for your pet policy.